Prince Charming is having a party, and everyone in the land is going - except for Cinders, who has to stay home and scrub the floor while her ugly stepsisters dance the night away. But a Fairy Godmother takes pity and soon Cinders is in a carriage made of pumpkins pulled by mice. And there’ll be trouble if she’s not home by midnight! 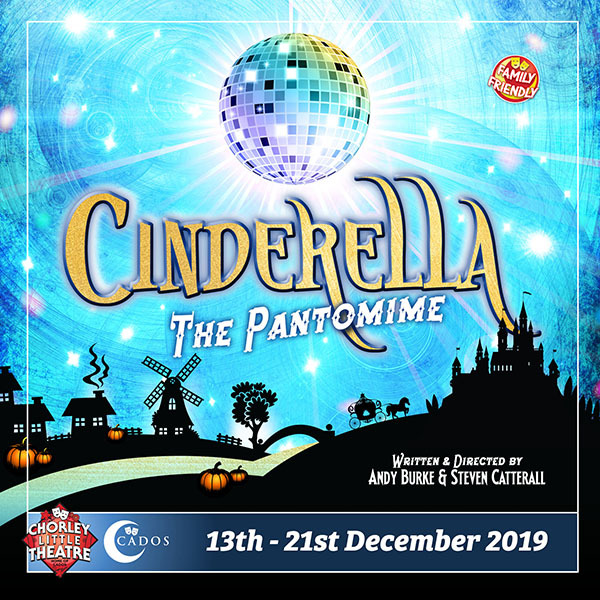 A fun-filled gag-packed traditional pantomime for the whole family, from the directors of CADOS Pantomimes Aladdin and Whittington!